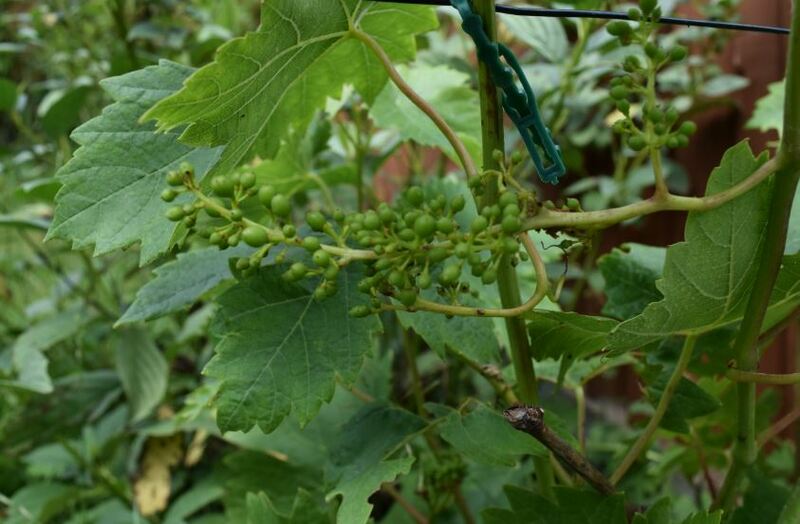 As one month has just passed since my vines awoke from their winter slumber, I thought I would give a quick update as to how my 2015 UK growing season is progressing. I’m located in Newbury, Berkshire and so that means I’m just above 51° latitude north, stretching right in to the limits of grape ripening. The UK is well known for the marginal climate and a pre-dispensation for rain, but this year has seen a milder winter in the south where I am. Although many part of the south did see occasional snow in February, we’ve not had any here for the first time in a few years, and I’ve been able to count the frosts so far on one hand. Indeed, late March and the start of April saw some unseasonably warm weather (some days even nudging up to the early twenties in celcius). This no doubt helped along bud break for my vines which I spotted on April the 8th. So, one month in, how are we doing? 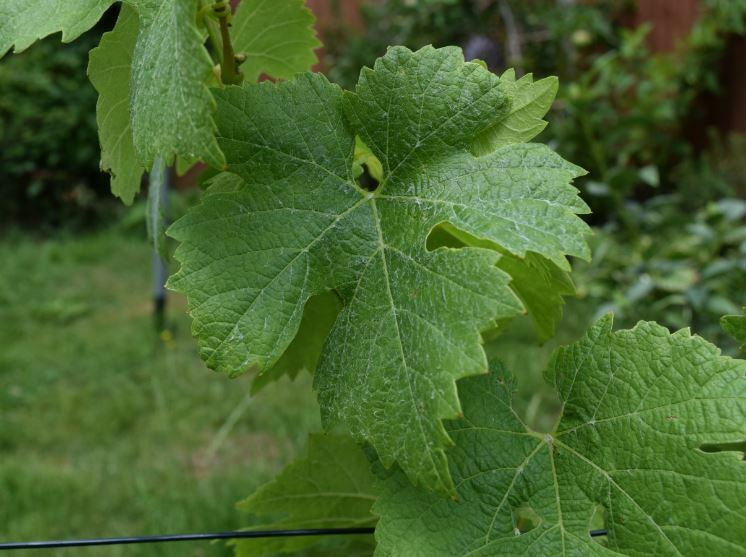 As you can see from the above pictures, all are coming along nicely, with numerous buds growing per pruned cane, and good leaf canopies forming. 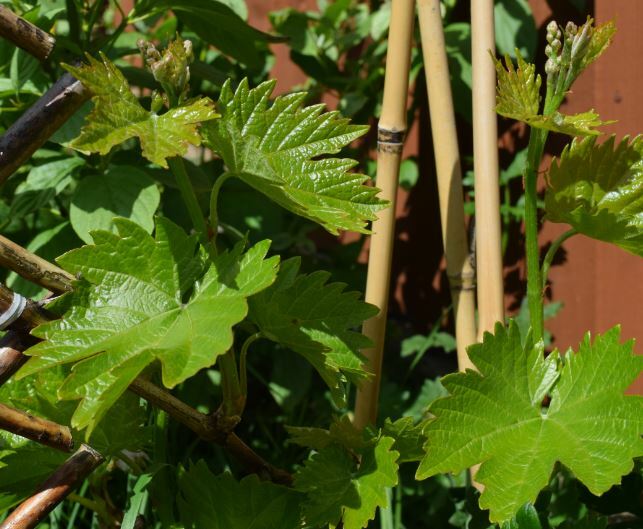 For background, I’m growing three different varieties: Chardonnay, Ortega and Catarratto, meaning I have French, German and Italian vines in operation. In terms of furthest along in growth, that would go to the Chardonnay, but in terms of vigour, the Catarratto has it. 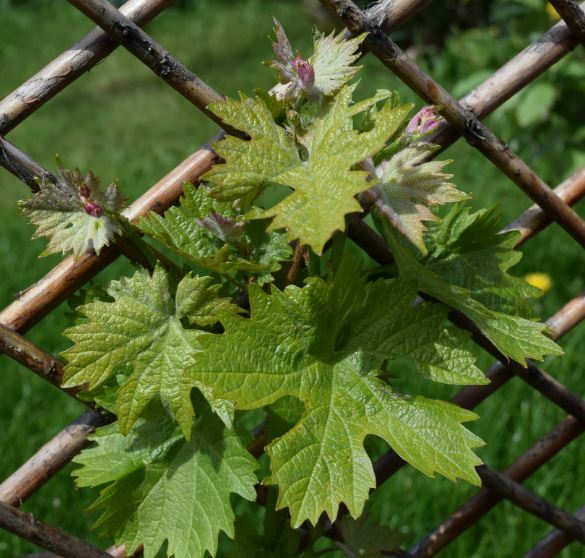 Vines were only planted last year, so we’re still in the bedding down phase in which all produce will be purely for academic and experimental use, but seeing the good start to growth this year means they’ve all settled in nicely. 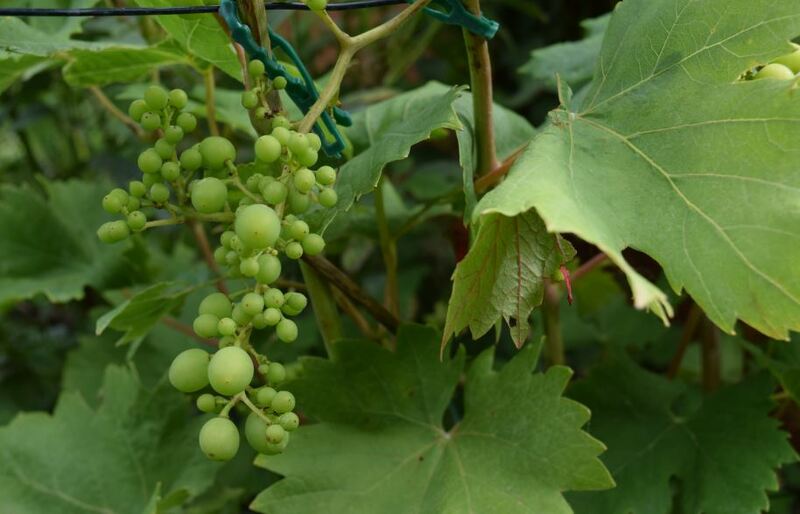 The vine stock was obtained from Denbies vineyard in Surrey, who are amongst the leading UK wine producers, so is from a good home. The above will hopefully be of interest to those readers outside of the UK, or perhaps even those in the southern hemisphere who want to see how we’re moving along here. It will also serve to remind me in the future how things progress through the 2015 vintage, which looks to be a good one. 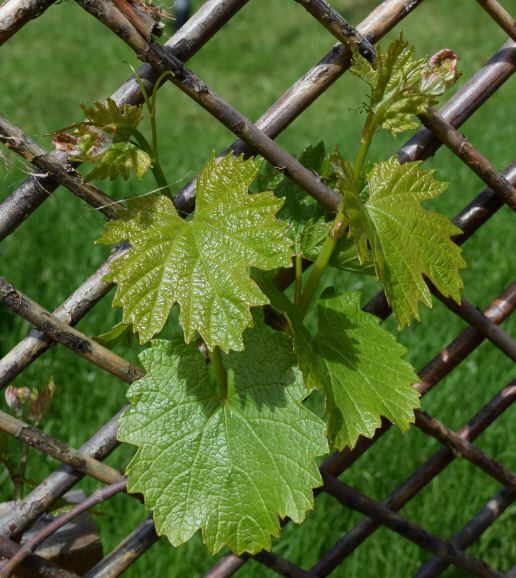 p.s – I’m aware that I need to sort my trellising out – it was a quick fix option at the time, and it will be replaced!